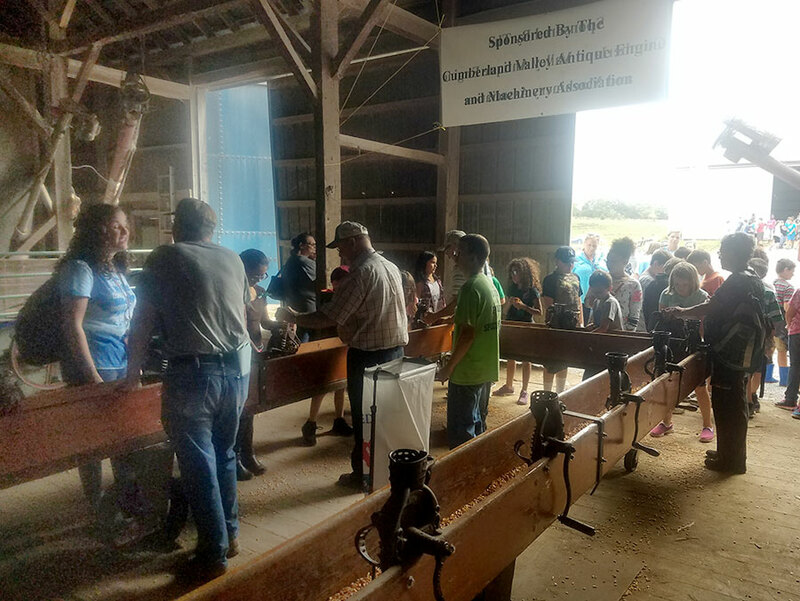 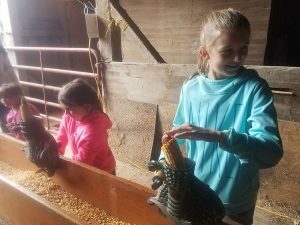 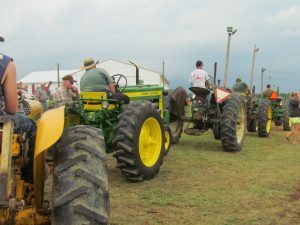 The 28th Franklin Fall Farm Fun Fest hosted by Robert Musser and his daughter Faith at the Musser Farm on Pinola Road, Shippensburg in September 2018. The Cumberland Valley Antique Engine and Machinery Association had a learning station “Grinder Winder”. 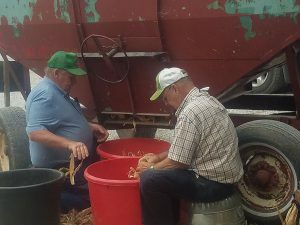 Dale Happel gave a presentation to each group explaining corn must be removed from the cob for the grain to be used for human food and products made with corn. 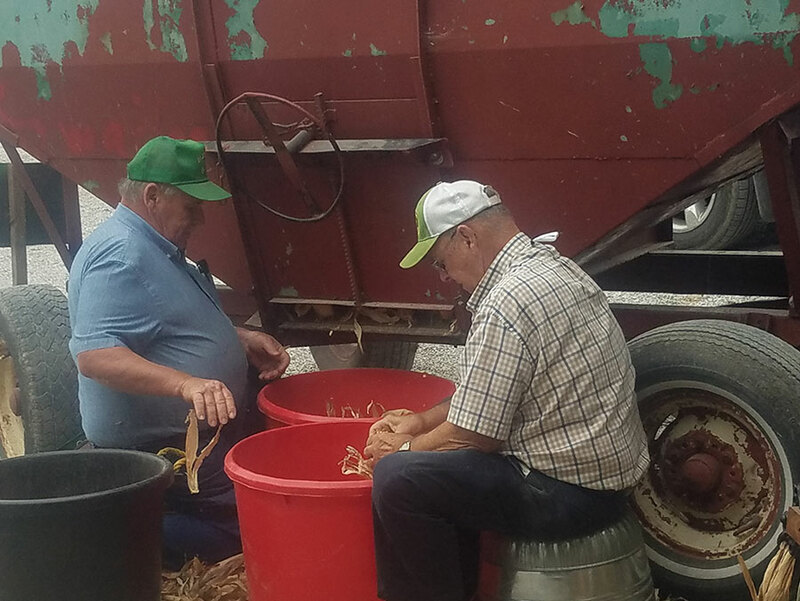 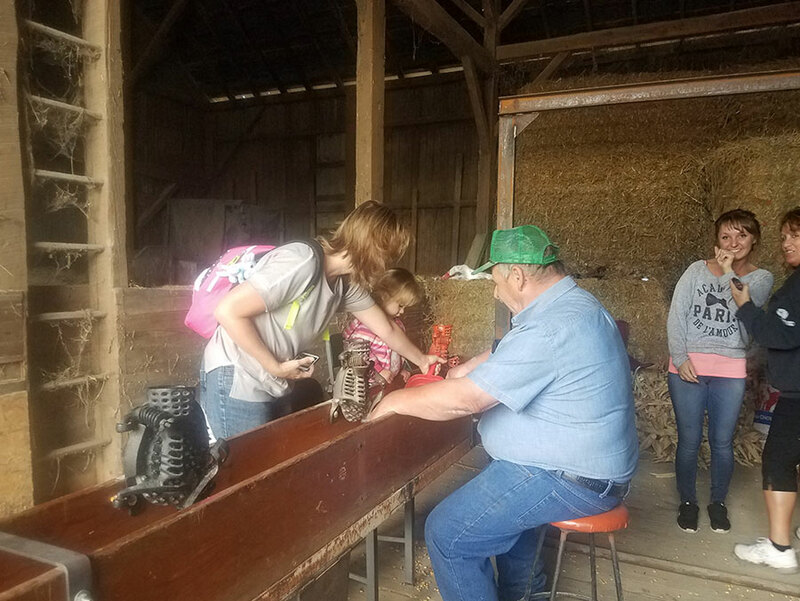 Bill Swailes brought his hand corn shellers which provided the children a hands-on demonstration, as each child and adult got to shell their own ear of corn under the watchful eye of volunteers from the club. The corn was furnished by Franklin Feed.